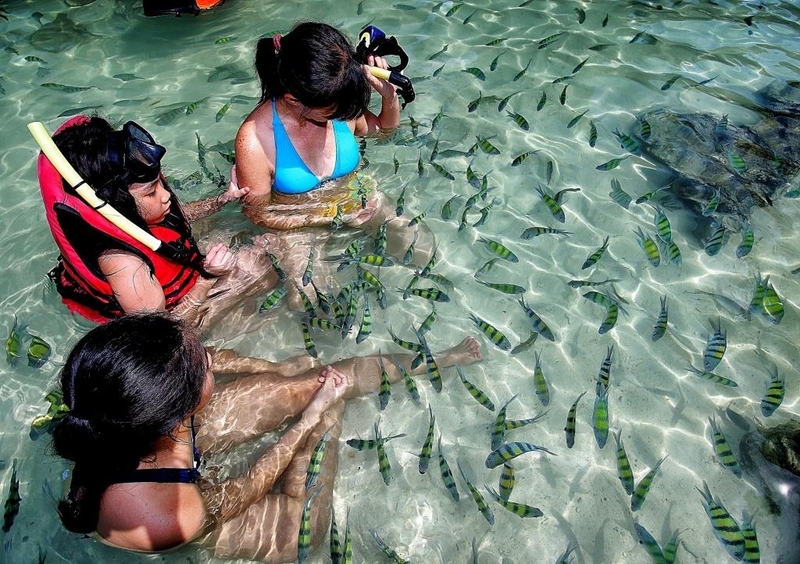 Belonging to the National Marine Park, the four superb islands of the Koh Hong group can be reached within twenty minutes from Ao Nang by speedboat, or 45 mins by longtail. Set against the spectacular backdrop of Phang Nga Bay, with its countless rocky outcrops, the islands are rightly considered to be among the most beautiful in Krabi province. 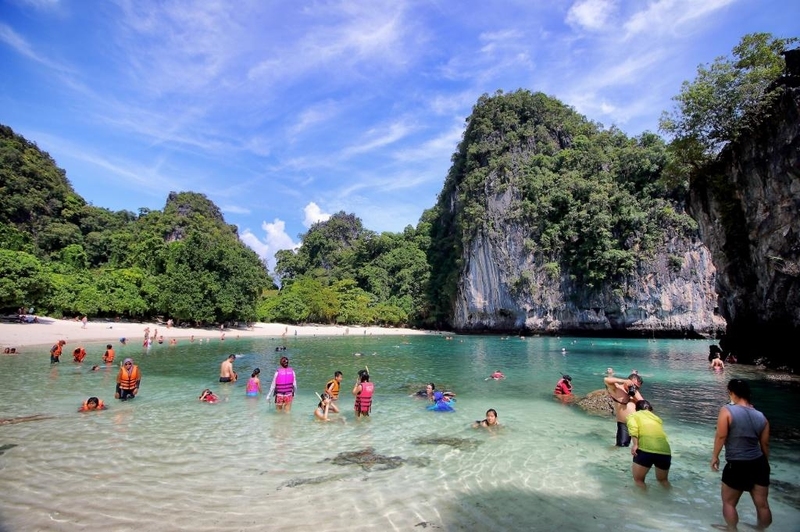 Itinerary order varies throughout the month, so that the lagoon can be entered before low tide (or at low tide if going by kayak) and will include a picnic lunch on the main island of Koh Hong, where basic toilet facilities are available. 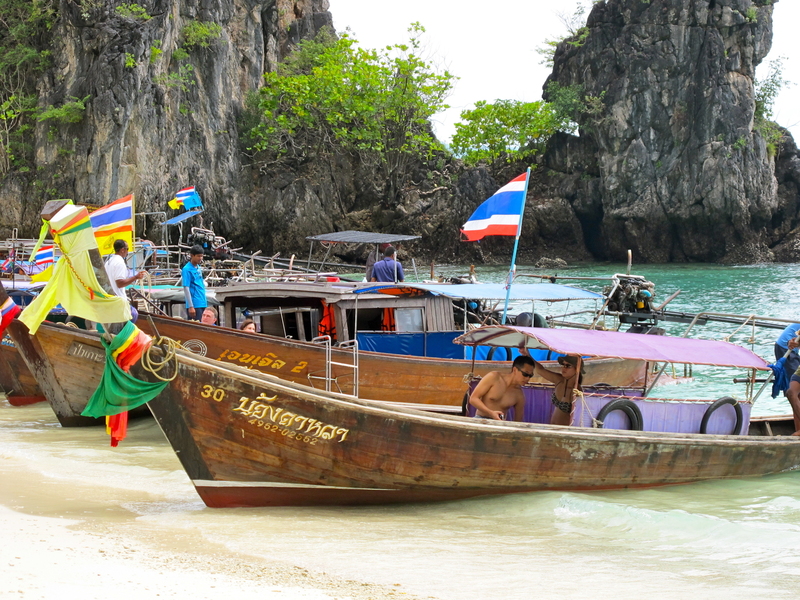 Kayaks, if you choose this option, are carried with you on the boat from Ao Nang. This is our recommended way to see the islands if you are reasonably fit – approximately one hour’s paddle is involved around the coastline.